CTFishTalk.com: Fishing at Saltsonstall? 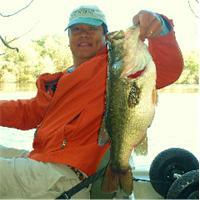 - Connecticut Bass Fishing ( CT Bass Fishing ) - A Community Built for Connecticut Fisherman. Viewing Topic: Fishing at Saltsonstall? Posted: Fri Sep 07, 2018 6:11 pm Post subject: Fishing at Saltsonstall? Can I take my kayak out at the fishing Dock at Lake Saltonstall? Is there any cost? I’ve never been to Saltonstall, but my understanding is that the only boats allowed there are their rental boats. Boat rentals only. It's a reservoir so they are afraid zebra muscles will be introduced....understandable. It's one of the best fisheries in CT. Walleye, Bass......Carp. It's the deepest lake in CT as well. There is some big fish in there. It's also one of the most under fished lakes due to permit costs.